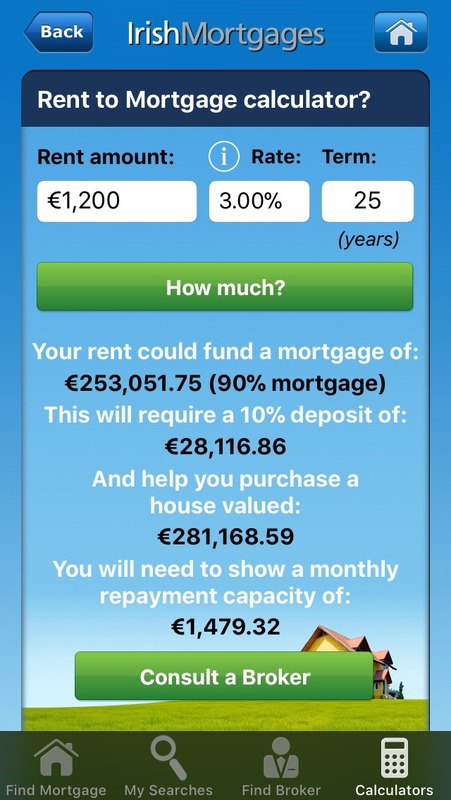 Mortgage Brain Ireland has just released a new ‘rent to mortgage’ calculator to help first time buyers determine how much of a mortgage their rent would support. 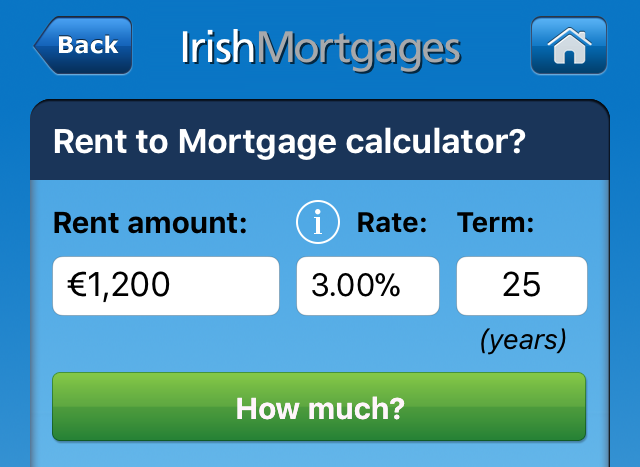 This calculator is contained in the IrishMortgages Free app and is available on both Android and IoS devices. Many potential first time buyers are in ‘Rent Jail’ in Ireland and are constantly wondering how much of a mortgage their rent might fund, according to Michael Quinn, managing director, Mortgage Brain Ireland. Also recent research by Aviva Ireland Family Finances 2018 found that some 90% of people consistently say they would prefer to own their own property. Half of those who don’t own their own home are planning to buy in the next five years according to Aviva’s research. “Our new calculator is aimed at this group of aspiring first-time buyers and aims to give then assistance in their mortgage search” said Quinn. Mortgage Brain has built a calculator from the customer’s perspective rather than from the banks to help them do their sums and get an idea of what’s involved. The renter just inputs three things, their current monthly rent amount – say €1,200, an interest rate – say 3% – and for how many years they want a mortgage for – 25, 30 or 35 years. The calculator then gives them an answer in terms of how much of a mortgage this rent roll would fund, highlights the deposit amount required and then stresses the interest rate to 5% to indicate the monthly repayment capacity which they will need to prove to their lender. This is often where the renter gets stuck. The lender needs to ensure that should rates rise the consumer can cover the additional monthly amounts in their disposable income. Since its launch in May 2015, the ‘IrishMortgages’ app has been used over 50,000 thousand times by Irish consumers and the app has run over 40,000 unique mortgage calculations. Designed by Mortgage Brain Ireland and developed by Tapadoo in Dublin, this app places important benefits and services in the pockets of anyone who is looking at various mortgage and affordability options in Ireland. Key features of the app include the ability to calculate how much a mortgage will cost per month, the size of deposit and income you will require and a simple in-built calculator to determine how much an individual or couple can borrow. The app is Ireland’s most comprehensive mortgage search, compare and review mobile application available, which, as well having a major impact among consumers, is providing great visibility and exposure for brokers listed on the app’s ‘Find A Broker’ function. This app is available free-of-charge on the iPhone, iPad and Android devices, ‘IrishMortgages’ allows homebuyers to conduct high level mortgage searches (broker products only), use a range of mortgage calculators, and then, through its ‘Find A Broker’ facility, use GPS navigation to show and provide contact details for the nearest broker. All Irish mortgage brokers who use Mortgage Brain’s mortgage trading exchange (mte) are entitled to be promoted within the Find A Broker section at no charge and all leads and enquiries are passed on, again at no charge.